A set of twins who were arrested in an anti-terrorism police raid carried out across Gauteng over the weekend were aspiring actors. The twins‚ who have been identified as Brandon-Lee Thulsie and Tony-Lee Thulsie‚ appeared in a packed Johannesburg Magistrate’s Court on Monday for allegedly trying to aid the cause of the Islamic State‚ by conspiring with others to blow up targets inside South Africa. Casting and artist management agency Kingclip confirmed that the twin brothers are currently active on their database but say they have not been in touch with them‚ only learning of their arrest on Monday. “We do have the boys on our database but as far as I am concerned they could be in Cape Town or anywhere around Joburg at the moment. News of their arrest is very new to me. I am actually very shocked‚” an agency representative‚ who wished not to be named‚ said. Deidre Sisson‚ a neighbour of the twins‚ said that the casting agency photographs seen on Kingclip’s website were those belonging to Brandon-Lee. “They were taken when he tried out for casting. They are on still on his old Facebook page‚” she said. A scan through Brandon-Lee and Tony-Lee’s social media accounts paints different personalities to the 23-year-old men who are currently in holding cells for allegedly trying to cause harm to others. The twins who referred to themselves as the “Boss Brothers”‚ appear to be loving‚ sociable and family-orientated. ”Just the fact that I‚ me‚ Brandon-Lee Thulsie put tear(z) in my mothrz eyes killed me. . .I gues im yet another step away from matric :). . congradz to those who passed‚ those who failed. . .we just have to work harder‚” shared Brandon-Lee in one of his posts. The pair also appeared to have goals to make it big in the entertainment industry through their production and events company Traffic Jam. The “Boss” twins last tweeted in November 2012. The more recently active Facebook account of Yaqeen Ibn Hernani‚ however‚ which according to Sisson belongs to Brandon-Lee‚ appears to be that of a devout Muslim. Hernani had also posted a photo of the Islamic State flag. The brothers were arrested over the weekend together with brother and sister Ibrahim and Fatima Patel after Hawks officers‚ using informants and intelligence agents‚ infiltrated the group after learning of their plans to allegedly travel to Syria last year via Turkey. The raids occurred on the suspects’ homes in Newclare in Johannesburg‚ as well as Florida and Azzadville on the West Rand. Hawks spokesman Brigadier Hangwani Mulaudzi said police seized weapons‚ ammunition and explosive devices‚ including stun grenades. The four were‚ according to well-placed police sources‚ allegedly involved in recruitment of people allegedly wanting to join ISIS. Mulaudzi said the suspects appeared in courts on Monday on terrorism related charges‚ as well as the illegal possession of arms‚ ammunition and explosives. The twins have been charged under the 2004 Protection of Constitutional Democracy Against Terrorism and Other Related Activities Act. The Patel siblings appeared in the Kagiso Magistrate’s Court on Monday on charges relating to the illegal possession of explosives and ammunition. “They were arrested in connection with the terrorist investigation being conducted [into] the Thulsie twins‚” Mulaudzi said. He added that plans were underway to have all four appear in court together soon. 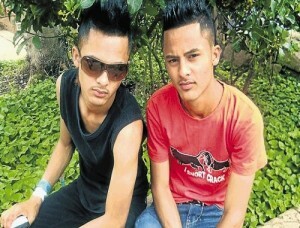 The post Twins arrested in anti-terrorism raid were aspiring actors appeared first on HeraldLIVE. The pilots in command of an SA Airlink passenger aircraft that broadcast a false hijacking alert on Monday are adamant that they did type in the code used to declare the emergency. The aircraft‚ carrying 72 passengers and four crew‚ transmitted an eight-second-long alert about 10 minutes before landing at Wonderboom Airport in Pretoria. Under normal circumstances‚ the alert can only be triggered by the pilots although a radar fault could also be responsible. The cause is still under investigation. “Approximately 10 minutes before landing … we had a report at head office through our flight operations department that there was a hijack alert being transponded from the aircraft. This alert had manifested over a very short period‚ approximately eight seconds‚” he said. Air traffic control responded as if it were a real event‚ as per protocol. News of the “hijacking” spread rapidly on social media until the airline took to Twitter to reassure the public that the passengers and crew were safe – although police had to thoroughly check the aircraft before they could disembark. “Notwithstanding the false hijack alert‚ which lasted a few seconds‚ the mandatory hijack response procedures were activated‚”the South African Civil Aviation Authority said. Air Traffic and Navigation Services COO Peter Marais‚ told the Cape Town radio station that it was possible‚ although unlikely‚ for part of a signal transmitted by an aircraft not being properly received or processed by equipment on the ground‚ resulting in a false code being interpreted as valid. Explaining how the signals work‚ he said various codes were transmitted from aircraft as specific radio frequency pulses. These were received‚ processed and decoded on the ground. “In this instance‚ the radar system received the transponder signal from the aircraft‚ processed it and decoded it and indicated that there was a valid code related to this emergency‚” he said. The post Pilots did not enter hijack code‚ SA Airlink insists appeared first on HeraldLIVE. The SABC could‚ in an “extreme” case‚ see its licence revoked. That’s according to the Independent Communication Authority of SA’s (Icasa) Rubben Mohlaloga when questioned by 702’s John Robbie about SABC chief operations officer Hlaudi Motsoeneng’s reaction to its ruling against the broadcaster. Hlaudi Motsoeneng had on Monday said “no one will tell us what to do” after Icasa made a decision that compels the SABC to reverse its ban on airing the destruction of property during protests. Mohlaloga told 702 on Tuesday that various sanctions – from a caution to a fine‚ and‚ in extreme cases‚ a licence being “suspended or revoked” – were available to Icasa should there was been a lack of compliance with its rulings. He said the SABC had seven days to comply or indicate that it would take the ruling on legal review. The SABC’s Kaizer Kganyago later on Tuesday told the radio station that the SABC would indeed be taken the decision to the courts‚ echoing Motsoeneng’s vow on Monday to approach the high court or the Constitutional Court for relief. “We are challenging that ruling … we are equal to the task‚” Motsoeneng said. Motsoeneng had also said all newsrooms censored news in taking daily publishing decisions. The fact that no good news was published showed that there was censorship in all news organisations‚ he said. In May‚ Media Monitoring Africa‚ the SOS Support Public Broadcasting Coalition and the Freedom of Expression Institute lodged a complaint with Icasa’s complaints and compliance committee‚ challenging the validity of the SABC’s protests ban. In the aftermath of the ban‚ a number of senior journalists at the broadcaster are facing disciplinary action for questioning the decision. The media briefing was disturbed by a protester who shouted‚ “away with Hlaudi” and “history will judge you”. He was subsequently removed by security. The post Failure to comply could see SABC licence revoked: Icasa appeared first on HeraldLIVE. 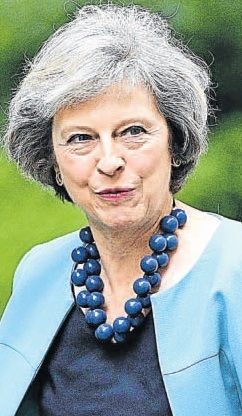 Interior Minister Theresa May is set to become Britain’s first woman prime minister since Margaret Thatcher tomorrow after her only rival abruptly quit the race yesterday, removing the need for a drawn-out leadership contest. “We’ll have a new prime minister in that building behind me by Wednesday evening,” Cameron told reporters yesterday outside his Downing Street residence, explaining that he would hold his final Prime Minister’s Questions session in parliament tomorrow before meeting the queen to step down. May, 59, was left as the only candidate to succeed Cameron, who announced he was stepping down after Britons voted last month to leave the European Union, after Energy Minister Andrea Leadsom unexpectedly withdrew yesterday. May and Leadsom had been due to contest a ballot of about 150 000 Conservative Party members, with the result to be declared by September 9. May’s victory means the complex process of extricating Britain from the EU will be led by someone who favoured a vote to Remain in last month’s referendum. Leadsom, 53, was barely known to the British public until she emerged as a prominent voice in the successful Leave campaign. She had been criticised over a newspaper interview in which she appeared to suggest that being a mother meant she had more of a stake in the country’s future than May, who has no children. Leadsom said she was pulling out of the race because a nine-week leadership campaign was highly undesirable at such a critical time. She acknowledged that May had secured much stronger backing in a vote of Conservative members of parliament last week. “I have . . . concluded that the interests of our country are best served by the immediate appointment of a strong and well-supported prime minister,” Leadsom said. In a speech earlier yesterday in Birmingham, May had set out her vision for the economy. She said she would prioritise more house-building, a crackdown on tax evasion by individuals and companies, lower energy costs and a narrowing of the ‘unhealthy’ gap between the pay of employees and corporate bosses. May favoured the Remain side during last month’s referendum campaign. But she repeated her new mantra that “Brexit means Brexit”, saying there could be no second referendum and no attempt to rejoin the EU by the back door. “As prime minister, I will make sure that we leave the European Union,” she said. The post New PM for Britain tomorrow appeared first on HeraldLIVE. 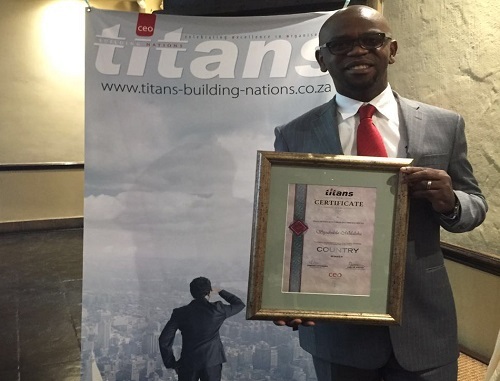 Transnet Port Terminals Eastern Cape boss Siya Mhlaluka was lauded for his contribution to the parastatal last week with a Titans Building Nations award made at a ceremony in Johannesburg. The awards, run by CEO (Celebrating Excellence in Organisations) magazine, recognise business leaders making an impact and striving for excellence in their companies across 25 different sectors. Mhlaluka is now in the running for a continental award. on and also belonged to his entire Eastern Cape and Transnet Port Terminals team who constantly demonstrated their commitment and dedication to excellence, innovation and superior service delivery. The awards are coordinated by CEO magazine, with nominees undergoing a stringent selection process. Nelson Mandela Bay Business Chamber chief executive Kevin Hustler said Mhlaluka was very deserving of the award due to his ongoing contribution towards the industry and South African business as a whole. The post Prestigious award for East Cape Port Terminals boss appeared first on HeraldLIVE. Chippa United coach Dan “Dance” Malesela has reaffirmed his commitment to the Port Elizabeth based club despite being tempted with offers from other Premier Soccer League clubs. Malesela signed a three-year contract with the Chilli Boys late last season and has vowed to stay with the club until that expires and longer if required. Malesela’s job with Chippa is his first gig as a head coach in the PSL. Having spent most of his coaching career in the National First Division, the former Orlando Pirates’ captain has had an impressive run with Chippa. The Chilli Boys finished in sixth place on the log, thereby booking themselves a spot in the lucrative MTN 8 competition. “Yes, I had a number of offers from clubs, but I think it will be premature for me to start getting excited. I haven’t achieved a lot here at the club,” he said. “I am talking about my personal opinion. “I just don’t want to leave here without doing anything. The former Cape Town All Stars’ coach says a top-eight finish is just a start of what the Chilli Boys can achieve. “You get to position six on the log and you throw a big party and say: ‘Now I am happy.’ I mean, reing ally, what about No 2 and No 1? “So there aren’t any big achievements yet. It’s just a start of something that we need to build on,” Malesela said. He believes bigger things can be achieved. “I may end up wanting to stay here longer than anticipated. “I may end up buying property here. Who knows,” he said. Securing silverware for the club is top of his list. “I want to win trophies. I want to empower players. I want players to progress to greater heights,” Malesela said. “I want to see some players bewanted by overseas clubs, not only by the big [PSL] teams. “I want to see them one day going to Europe, without having gone via certain so-called big clubs. “I want them to come from here and straight to those teams. “I want to see this club being recognised. “I want people to want to watch Chippa United. “I want to have this club get supported from outside this province. “I want to change the minds of other people as well as those who stay in the Eastern Cape,” Malesela said. The post It’s only the start – Malesela appeared first on HeraldLIVE. NO ONE has come forward to identify the body of an elderly woman who died in a stampede at the South African Social Security Agency’s 10th anniversary celebrations in Port Elizabeth last week. The woman died and four other elderly women were injured on Wednesday after being shoved and trampled on as officials tossed blankets to the thousands of people attending the event at the Dan Qeqe Stadium. Food parcels were also dished out. Police spokesman Captain Andre Beetge said no one had come forward to identify the woman or to report someone missing. “There were a lot of people who came from other parts of the province, so maybe she was not from here. We appeal to the community [for] information,” Beetge said. The post Sassa stampede victim still not identified appeared first on HeraldLIVE. Most fatal accidents on South Africa’s roads are caused by private cars. A five-year crash analysis report by the Road Traffic Management Corporation (RTMC) also indicated that light delivery vehicles contributed the second-highest number of fatal accidents on the country’s roads. “Sedans and other private vehicles are the highest contributors to fatal crashes – 46%,” spokesman Simon Zwane said. This came after a deadly weekend during which five people were killed and six seriously injured on Eastern Cape roads. Provincial Traffic Department deputy director Charles Bramwell said that in one of the crashes, alcohol was believed to have played a part, as empty alcohol bottles were apparently found in one of the cars. At about 4.30am on Sunday, three people were killed when a VW Polo and a Mercedes-Benz crashed on the R75 between Port Elizabeth and Uitenhage. The Polo was reportedly overtaking the Mercedes near the KwaDwesi turnoff. In another accident on the R72 outside Alexandria at 7am on Saturday, two people were killed and two more seriously injured when a bakkie and a truck carrying rice collided. Zwane said the three main causes of fatal accidents were human error, unroadworthy vehicles and environmental or road-related factors. The post Private cars most accident prone appeared first on HeraldLIVE. The SABC’s decision not to screen footage of protests has been slammed as unconstitutional by the Independent Communications Authority of SA (Icasa). But SABC boss Hlaudi Motsoeneng says nobody can dictate to the broadcaster – not even the body created to oversee it. Icasa found yesterday that the SABC’s decision to ban footage of violent protests had breached not only the Broadcasting Act and its licensing conditions, but also the constitution. The regulator went so far as to hint that the SABC ban could have a direct influence on the upcoming local government election. “The public would be severely stilted in making real and informed choices about the governance of our democracy,” Icasa said in its ruling. Citing several Constitutional Court rulings, the authority said the importance of the free flow of information had been widely acknowledged by the court. “A subject as such may never be blocked from the SABC television and radio. South Africa is not, as in the apartheid era, a dictatorship,” Icasa said. But the SABC management yesterday dug in its heels. “I don’t focus on what people say but on what I need to do. The protests are just a hullaballo,” Motsoeneng said. SABC chairman Professor Mbulaheni Maguvhe said they would engage their legal team within the next few days. “If their advice is that we are going to reverse this matter with the relevant authorities, which would include the high court and the Constitutional Court, that is what we are going to do,” he said. “We still believe that this is a moral and a cautious decision that we have taken. The Media Monitoring Project, SOS Coalition and the Freedom of Expression Institute had lodged a complaint with the authority saying the SABC’s decision was in violation of its role as the public broadcaster. The organisations, along with Right2Know, welcomed Icasa’s decision. At least seven senior journalists face disciplinary action for alleged misconduct after they raised concerns over growing censorship at the broadcaster. Journalists and civil society held protests at SABC offices this week decrying the recent developments at the broadcaster. The post Defiant Hlaudi vows to fight Icasa ruling on SABC ban appeared first on HeraldLIVE. From teaching music to covering university tuition fees, the Keiskamma Music Academy has been improving the lives of the Hamburg community one child at a time for the past 10 years. To celebrate the anniversary, the academy will present a show at the Athenaeum in Port Elizabeth tonight. The Keiskamma Music Academy – based in the small village of Hamburg, near Peddie – was started by flautist Helen Vosloo in August 2006 with 12 students, one teacher and 34 recorders. Vosloo said it had been started with the aim of extending music education to the children while also addressing poverty issues. A visit to Hamburg with her husband and friends in 2004 was enough for Vosloo to realise the children in the area needed music. “I approached Keiskamma Trust founder Carol Hofmeyr with the idea and she asked the community if they would like music lessons for their children and they said yes,” Vosloo said. Two years later the Keiskamma Music Academy was started. To date it has taught music to 126 youngsters between the ages of eight and 21, from Hamburg and the surrounding villages. Now a Fort Hare University second-year BSc student, Nqophisa Mthonisi, 21, joined the academy when it started. She said it had had a huge impact on her life. “I don’t think I would be in university if it wasn’t for the academy, because at some point they were paying my tuition fees,” Mthonisi said. Academy programme manager Anthony Drake said the show, one hour and 20 minutes long, would feature a wide variety of music, from renaissance to pop and jazz, for people of all ages. The Keiskamma strings, recorder ensemble, saxophone quartet and the orchestra would perform. The academy is funded by the Rupert Music Foundation, the Arts and Culture Trust and Nedbank Arts Affinity. The show starts at 6pm for 6.30pm. Tickets are R80 for adults and R50 for pupils and pensioners. Children under 12 enter for free. The anniversary tour visits Grahamstown on Saturday and East London on Sunday. The post Music Academy concert in PE tonight appeared first on HeraldLIVE.